We are having our first meeting of the 2019 year this coming January 28, please see the enclosed PDF file. PLEASE: If you want to order any beekeeping supplies you have a nice opportunity for free shipping and delivery. Jim Coss of the Honey and Bee Connection will be our speaker this coming Monday and is willing to bring supplies with him on Monday evening if members want to order them beforehand. 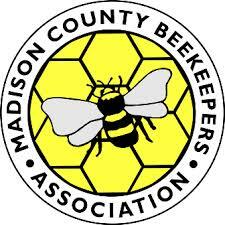 Jim will be traveling to Madison County directly from his day job on Monday so please don’t plan to order supplies ‘the day of the meeting’ since he will already have his truck packed and ready to go. Call Jim at the number below or visit his website and order your supplies if you need anything. The pictures on the pdf file are taken in my apiary and are of a recent dead out, a cluster feeding on some of Jim’s Winter Feed Patty, and a quilt box that I recently made for controlling vapor in the hive by filling with wood shavings. I hope to see a good crowd this Monday, January 28.